The first attacks of the Malayan Emergency occurred 70 years ago, on 16 June 1948, when Communist Terrorists killed three rubber planters, one an ex-8 Gurkha Rifles officer. And so began 12 years of counter-insurgency. Four Gurkha regiments had joined the British Army the year before, post Indian Independence, and these were quickly deployed to Malaya. The size of the Brigade grew steadily to over 10,000 and this period also saw the formation of a number of new Gurkha cap badges which continue to this day: Queen’s Gurkha Engineers (QGE) in 1948, Queen’s Gurkha Signals (QGS) in 1954 and Gurkha Transport Regiment (GTR later becoming QOGLR) in 1958. The Brigade spent 12 years continually on operations, patrolling month after month in the jungles and swamps and lost more than 300 officers and soldiers. Each year commemorations take place in Ipoh to remember those who died both in the Emergency and also during the 1941 Japanese invasion of Malaya which led to the Fall of Singapore. 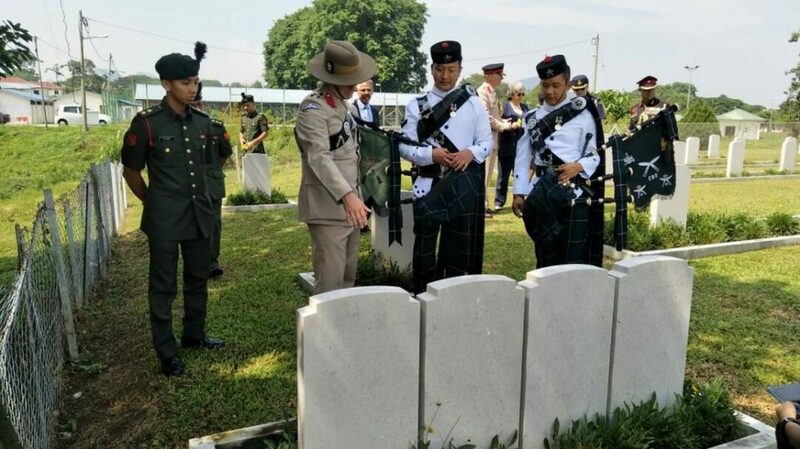 This year, to mark the 70 years anniversary, Colonel Brigade of Gurkhas (Colonel BG), Colonel James Robinson, joined the British High Commission staff and others at two days of Services. Also joining him were two pipers from 2 Royal Gurkha Rifles based in Brunei. 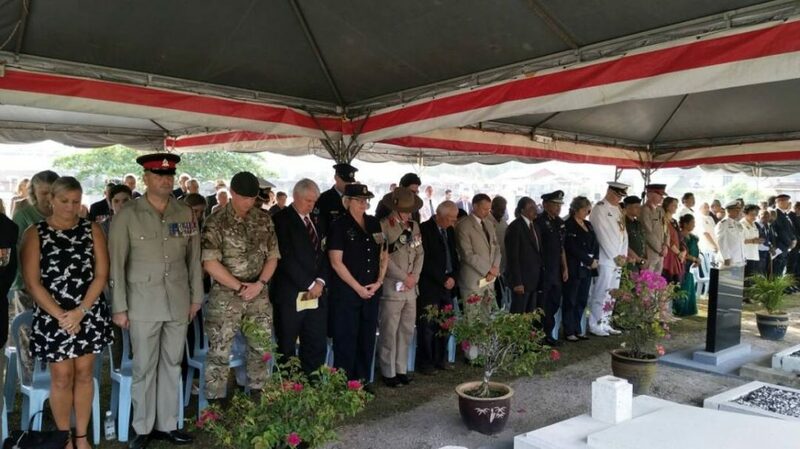 The first event took place on 14th June at the Cenotaph, outside the magnificent Ipoh Railway Station, when a two minute silence was observed and wreaths were laid. 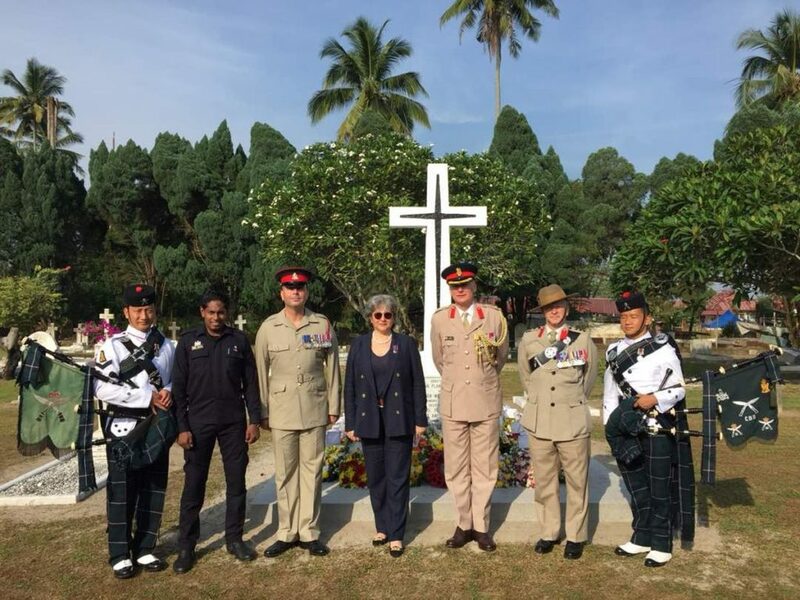 The next morning a church service was held at Batu Gajah and wreathes were then laid in God’s Little Acre, the nearby cemetery which not only holds the graves of the three planters but also a number of Brigade officers and soldiers. This was followed by a service at the Gurkha Cemetery in the old Suvla Lines, previously home to 2 Gurkha Rifles and then 6 Gurkha Rifles. 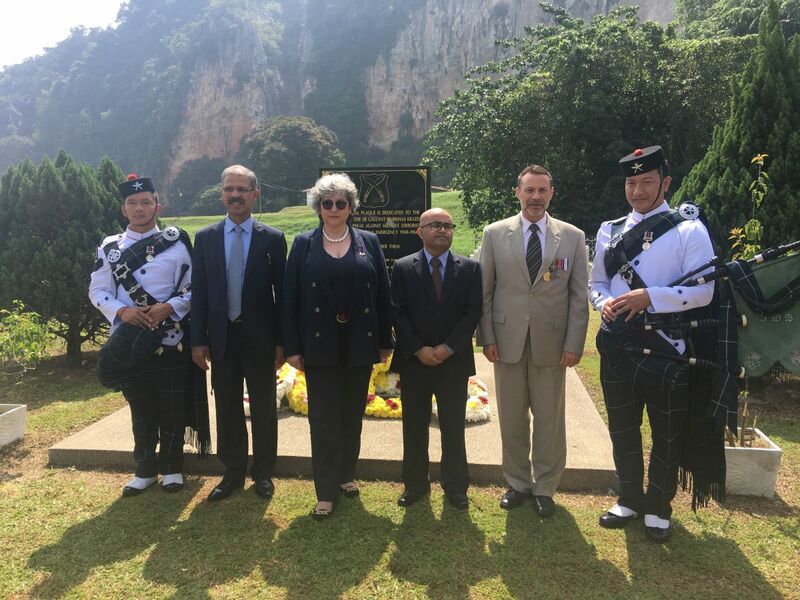 At this event Colonel BG gave a speech capturing the Brigade’s overall contribution to Malaya over the years and thanked the WIRA Association for running these significant and humbling events. Afterwards Colonel BG joined the British High Commissioner and others at the adjacent Gurkha cemetery to spend time reflecting on the Gurkha sacrifice. The Colonel’s speech he delivered is available to read here.